Please call us toll free at 1.888.385.1122 to make your best deal. 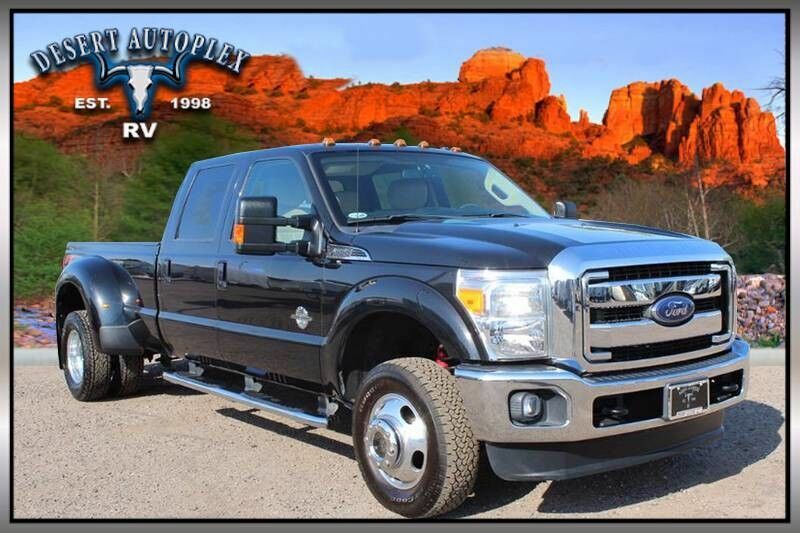 - Desert Autoplex is pleased to bring you this extra clean 2014 Ford F350 Crew Cab 4X4 Diesel Dually FX4 Lariat. This is a great opportunity to own an extra clean diesel truck! This F350 has passed through our 82 point mechanical inspection showing no problems or concerns. This Ford boasts the Powerstroke 6.7L Turbo Diesel backed by an automatic transmission. Don't miss your opportunity to own this 2014 Ford F350 Crew Cab 4X4 FX4 Diesel Dually Lariat. This loaded, low mile Powerstroke Turbo Diesel is the one! Financing is always available on approved credit. With over 50 lenders to work with we offer rates from 3.99% (o.a.c.) and can work with any past or current credit situation. We offer a secure online credit application for fast and easy credit approval. Desert Autoplex also offers many warranty options to protect your new investment. We offer warranty programs from bumper to bumper coverage to long term 5 year 100,000 mile power-train coverage.